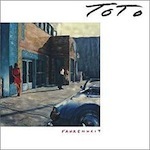 The percussions on Toto’s “Africa” were my guide when composing and recording “Tierra del Fuego” and clearly influenced the feel of the track… so today allow me to pay homage to one of pop-rock’s all-time greatest bands. The band further demonstrated its musical prowess and versatility by writing and producing the mostly-orchestral soundtrack to David Lynch’s 1984 “Dune”. 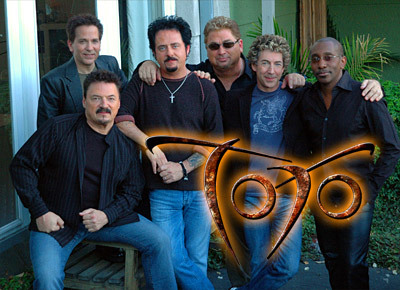 The members of Toto are all widely recognized as top musicians and masters of their respective instruments, and over the years have played with a long list of top recording artists outside Toto. 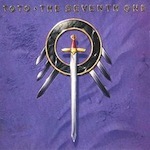 The core original members are Jeff Porcaro (drums), David Paich (keyboards) and Steve Lukather (guitars). 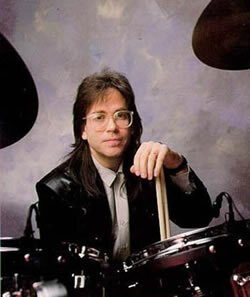 They have been joined by Jeff’s brothers Steve (keyboards) and Mike (bass), respectively, Simon Phillips who has filled in on drums since Jeff Porcaro’s death (1992), lead vocalists Bobby Kimball, Joseph Williams, and many others who have left their mark both in the studio and on stage. 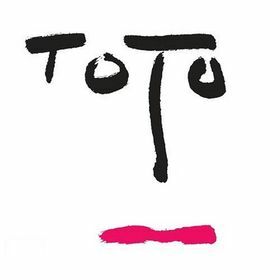 Principal songwriters David Paich and Steve Lukather themselves sing lead vocals on many of their own compositions. 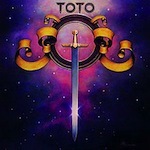 The band remains active on-and-off and will be touring Europe this summer. 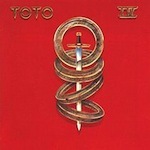 Toto has released a dozen studio albums, including the landmarks “Toto IV” (1982), “The Seventh One” (1988) and their 1978 debut. 1984’s “Isolation” (more rock, with Fergie Frederiksen on lead vocals) and 1986’s “Fahrenheit” (softer, more jazzy), while less commercially successful, are equally excellent and among my favorites. 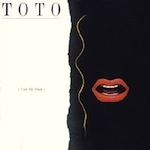 I was lucky to see Toto live twice during their career: the first time on 4 October 1990 in Paris (Zénith), and the second time on 25 February 2006 in London (Hammersmith Apollo).